The village, a twin of al-Tall, was situated on a sandy, slightly elevated mound which, like many other tells in Palestine, was the site of an ancient settlement. It was located 14 km northeast of Acre. In both twin villages archeological remains from the Canaanite period (1800 BC) were found. Al-Nahr was established on a site called 'tall al Qahwa (mount of coffee). Ottoman documents from 1904 refer to the village as Qahwa. The village had a rectangular shape and was located on the main road from Tarshiha to Nahariyya and Acre. In 1931 522 people lived in the village in 120 houses built from a variety of materials- stone, mud, mortar or reinforced concrete. In 1944-45 the number had increased to 610, all Muslims. The villages' lands covered 5,261 dunums on which cereals, citrus fruits and bananas were planted. In addition villagers practiced animal husbandry. 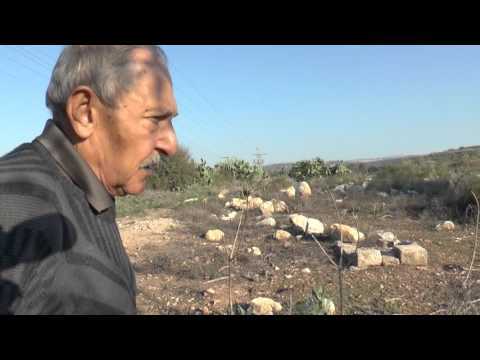 Morris indicates that the Israeli settlement the replaced the village in 1949 is Ben 'Ami', named after Ben Ami Pechter, the Haganah commander who had been killed in a skirmish close to nearby Nahariyya in March 1948; the military operation in which al-Nahr was seized was also named after him. Another settlement, Kabri, makes use of village lands. Only two houses remain, and one of them is partially destroyed. A tall date-palm tree grows on the village site, which is overgrown by wild grasses, a few cactuses, and fig trees. The cemetery, on the western side of the village, contains one identifiable grave. The nearby Fawwara spring has been fenced in and declared private property. Displaying 1-52 of 52 results.